Lee Gamble and Marcel Dettmann rewire highlights of Cosmin TRG's 'Gordian' album with excellent results. Clipping the heels of his Special Request inversion, Lee Gamble reprograms 'Noise Code' to a ghosted warehouse sound, banging dry kicks and hi-hats through hissing dust clouds whilst steppin' bass and bursts of bruk drums trick the torque for shadow ravers. If you've ever fantasised about dancing by yourself in an empty warehouse with 12 foot stacks, this would be a perfect soundtrack. 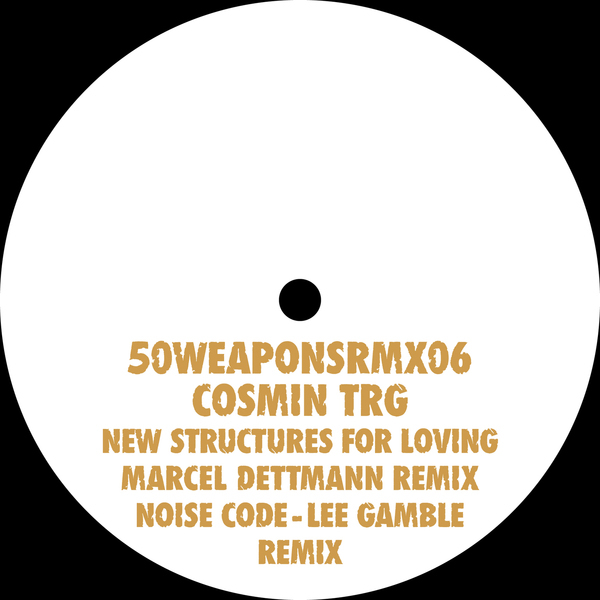 Similarly, Marcel Dettmann hears the meta-physical potential in 'New Structures For Loving', reducing the groove to zombied acid bassline and layers of spectral interference perfused with mystic, 6am melodies.